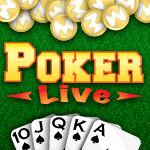 Play poker live against real people and win Moco Gold! Get FREE chips every day you play. Join MocoSpace and you'll be playing Poker Live for Gold in no time!